Located in Biddeford, Maine. Click to view their menu online! 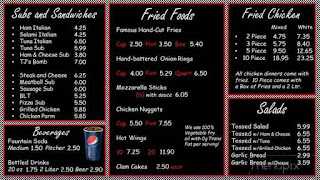 Click photo to see a clearer menu! 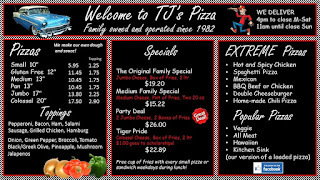 Want to save money on TJ's Pizza?! Click here or the link below to purchase a discounted gift card off of Groupon! It is available for immediate use! 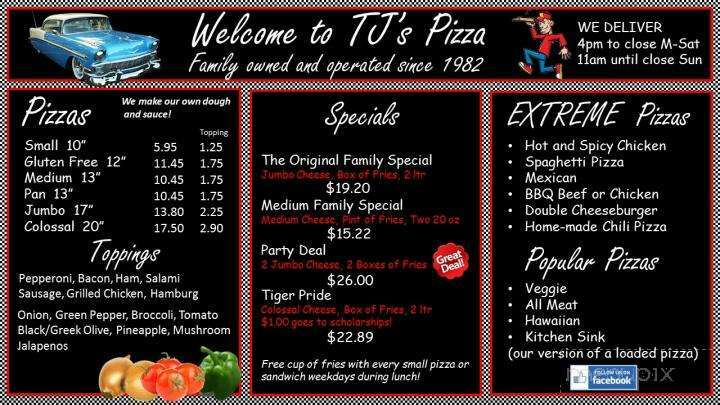 Click to see a clearer menu! The buffet is 8 dollars for unlimited food, settle down.